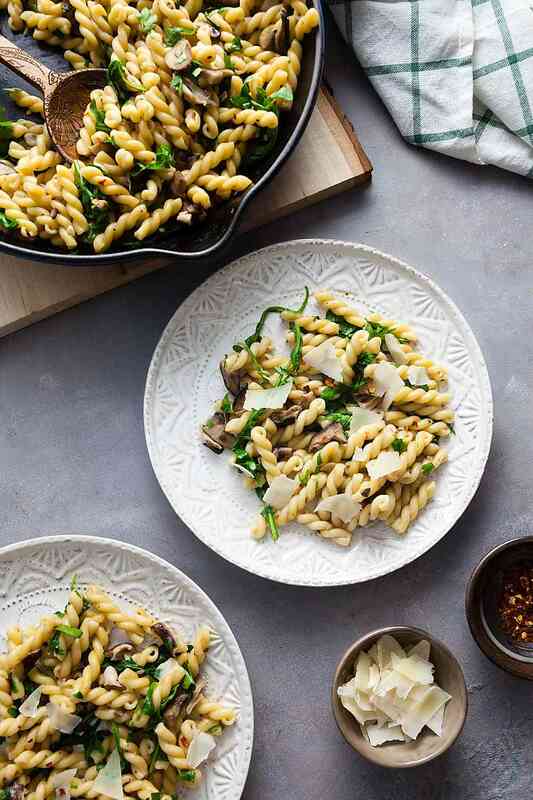 Gemelli with Mushrooms + Arugula (Vegetarian, Gluten-Free Option) | Healthy. Delicious. 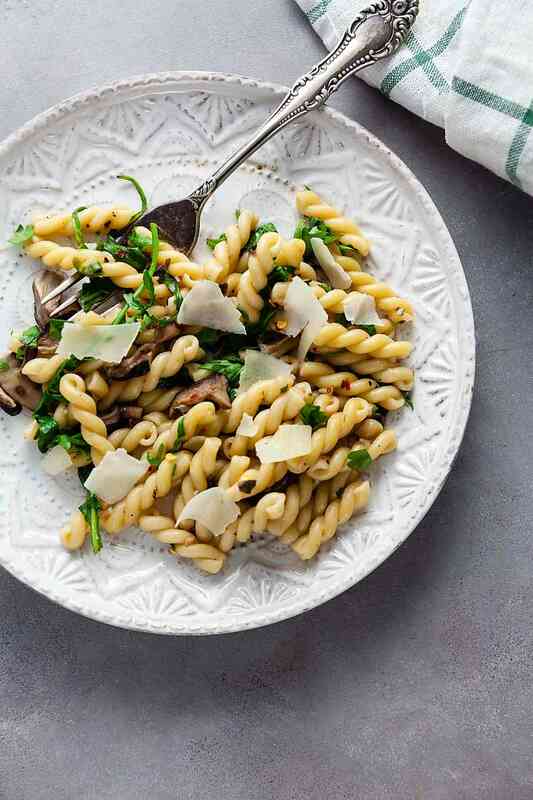 Meet your new favorite weeknight dinner: pasta mixed with earthy mushrooms and peppery arugula. If you’re like me, you’ll find yourself making it over and over again. 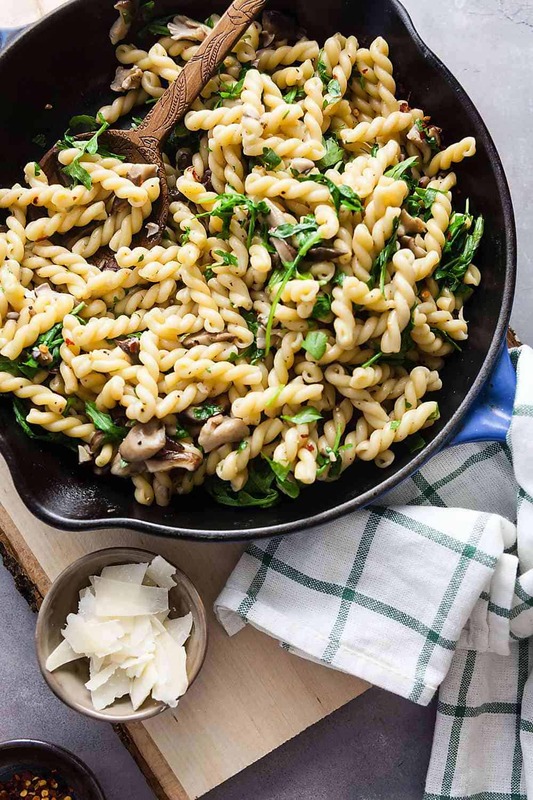 Gemelli with Mushrooms and Arugula is the kind of pasta recipe that really has no business being as good as it given how simple it is. It comes together quickly with just 7 ingredients (including the option parmesan on top! ), and is incredibly forgiving. 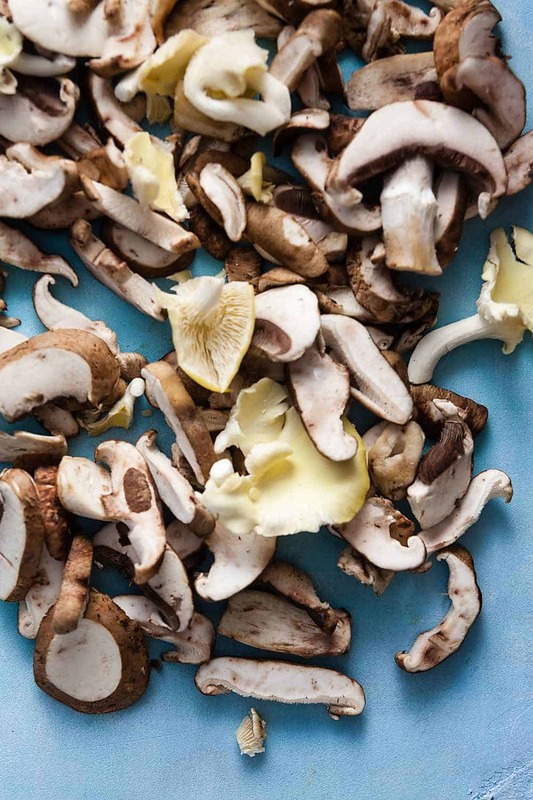 Pasta is the perfect neutral backdrop for earthy mushrooms sauteed with plenty of garlic. Peppery arugula adds a dose of freshness to your plate and crushed red pepper and freshly cracked black pepper add heat and dimension. 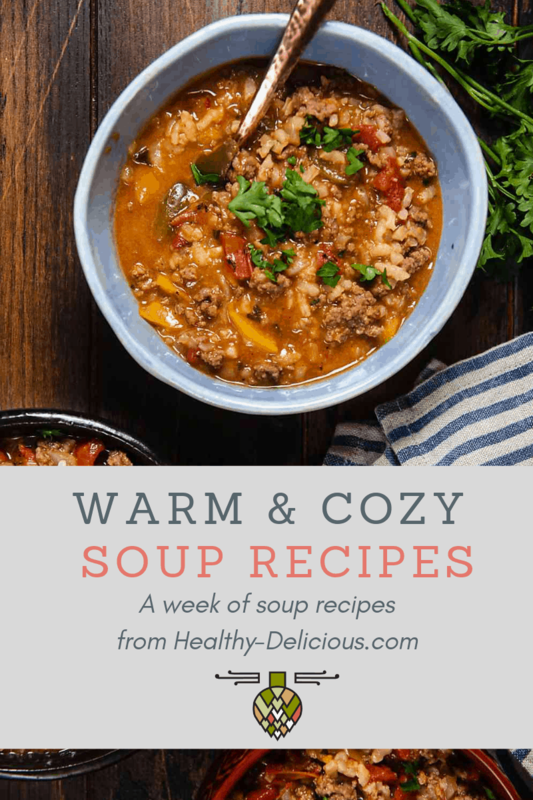 In short, it’s the kind of recipe that’s perfect for a weeknight. 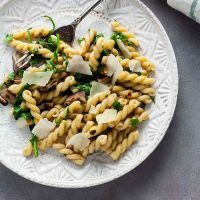 Fresh mushrooms are the star of this recipe, so it’s important to choose a variety that you’ll enjoy. I personally love using a wild mushroom blend with lots of chanterelles, but I mix it up based on what’s available at the store. This time, I picked up two packages of mixed cremini, shitake, and oyster mushrooms. The second most important ingredient is the pasta. I adore gemelli for this pasta dish. It’s small enough to mix well with the mushrooms, but it still has a nice, chewy texture. You can also use bowties (farfalle), fusilli, or campanelle. 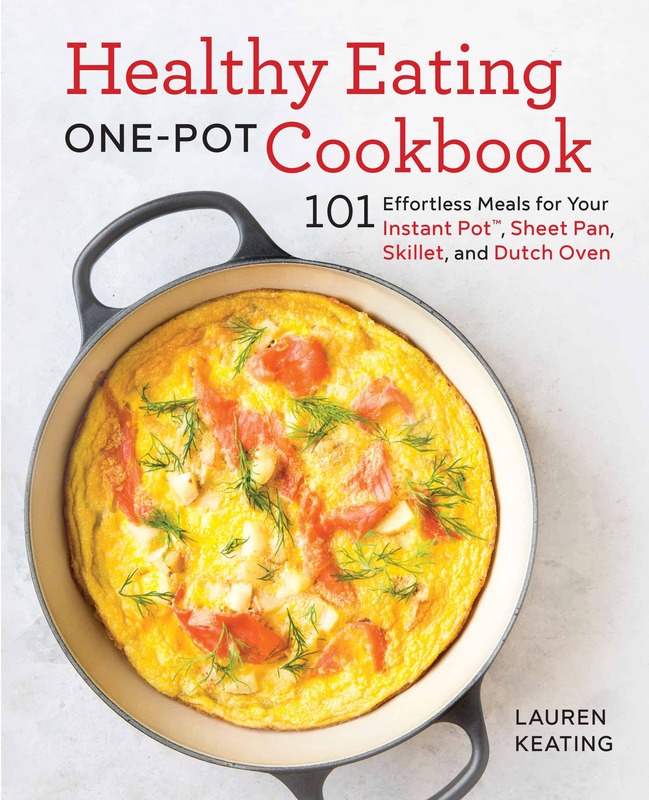 You can also use gluten-free rotini to keep this entire recipe gluten-free. In terms of technique, this pasta dish is very similar to pasta aglio e olio. Bring a large pot of heavily salted water to a boil, then cook the pasta until just shy of al dente. While the pasta cooks, saute the garlic and mushrooms in olive oil until they’re soft. Next, stir in the cooked pasta and some reserved pasta cooking water to create a luscious sauce. Finally, stir in a ton of baby arugula and season the dish generously with crushed red pepper flakes, salt, and freshly cracked black pepper. If you’re feeling extra indulgent, you can stir in another tablespoon of olive oil and top the pasta with shaved parmesan. Leftovers are great reheated gently or served cold, like a pasta salad. Bring a large pot of generously salted water to a boil. Add the pasta and cook it according to the directions for al dente (about 12 minutes for gemelli). Reserve 1 cup of water water, then drain the pasta. Meanwhile, heat the oil in a large skillet over medium heat. Add the garlic and cook 2-3 minutes, until softened and fragrant. Stir in the mushrooms and cook 5 minutes, until deeply browned and softened. Over low heat, stir in the pasta and reserved cooking water. Cook 2-3 minutes, until the water is reduced. Stir in the arugula and red pepper flakes. Season to taste with salt and pepper. If desired, top with Parmesan cheese.